Launched in 2016, the UCLA Prison Education Program at UCLA provides courses allowing faculty, students to learn alongside participants incarcerated at the California Institute for Women (CIW), Barry J. Nidorf (BJN) Juvenile Hall, Camp Scott for Girls, and Custody to Community Transitional Reentry Program (CCTRP). 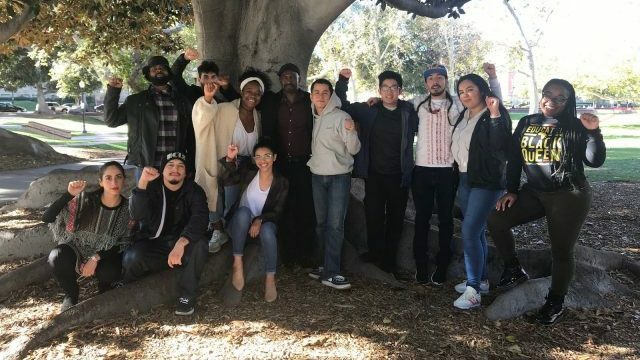 In the three years since it began, the program has not only offered courses, the UCLA Prison Education Program has provided writing workshops, a faculty lecture series, career/higher education workshops for incarcerated participants in collaboration with university students, faculty and community partners. 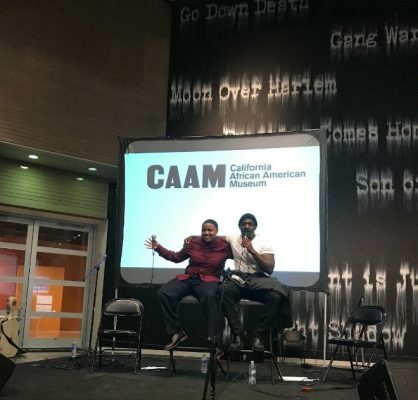 Since the Fall of 2018, the UCLA Prison Education Program was successful in hosting girls incarcerated at Camp Joseph Scott at UCLA and at 4th Street Recording Studio in Santa Monica, CA, developed a recording studio at BJN Juvenile Hall, and welcomed a formerly incarcerated student home by extending the opportunity for her to perform at the California African American Museum. Adapted by ten incarcerated artists at the oldest women’s prison in the state, the California Institute for Women, WHAT IT IZ is a prison abolitionist, hip hop theater and spoken word remix of The Wiz. Over 100 years after L. Frank Baum brought us “The Wonderful Wizard of Oz,” we have an LA-based take on his legendary tale. WHAT IT IZ: The Spoken Wordical is a 21st century urban parody, remixing Baum’s classic and the 1970s Broadway musical-turned-motion picture “The Wiz.” Originally featuring Diana Ross, Michael Jackson, Richard Pryor, Lena Horne and scored by Quincy Jones, the film inspired the writing of this play to become a hit at the Nuyorican Poet’s Cafe, American Place Theater, Yale and Harvard before it was adapted in a UCLA Creative Writing Workshop at the CIW Prison. This 2018 performance served as a benefit for the Sankofa Summer School for girls incarcerated at BJN Juvenile Hall in Sylmar, California. A report developed with the Think Tank launched by the UCLA Prison Education Program at the California Institute for Women. Directed by professors Bryonn Bain and Tendayi Achiume, this domestic human rights report was researched and written by students in the UCLA Law School International Human Rights Law Clinic.